LAS VEGAS (Wednesday, January 21, 2015) – Political strategist and commentator James Carville, actress and model Bo Derek and former NBA coach and ESPN/ABC analyst Avery Johnson are among the high-profile Thoroughbred racing fans and supporters set to participate in Saturday’s $10,000 NTRA NHC Charity Challenge, a handicapping contest to benefit Old Friends Thoroughbred retirement farm and a charitable cause of the winner’s choosing. The Charity Challenge is being held in conjunction with this weekend’s 16th Daily Racing Form/NTRA National Handicapping Championship (NHC) Presented by Racetrack Television Network, Sovereign Stable and Treasure Island Las Vegas. The contest will be administered by the handicapping tournament website HorseTourneys.com. In addition to a handful of mainstream celebrities, the contest will feature a host of sports media personalities and handicappers, from retired jockeys Jerry Bailey, Richard Migliore and Rosie Napravnik to national sportscasters like Jeannine Edwards, Kenny Mayne, Chris Fallica and Randy Moss. Other participants include Daily Racing Form writers like Steve Crist and Mike Watchmaker as well as Emmy Award-winning FOX Sports producer and longtime horse racing fan Pete Macheska. The winner will have $5,000 donated in their name to Old Friends, the Thoroughbred retirement nonprofit with farms in Kentucky and upstate New York, and another $5,000 to a charity of their choosing. Old Friends was selected as a beneficiary at the behest of the late Mike Mayo, former Chairman of the NHC Player’s Committee and 10-time NHC qualifier. The field also will include Acacia Courtney, a 2014 Miss America finalist; Dave Johnson, longtime network television racecaller and radio host; Bryan Wagner, 2009 NHC Tour Champion; Judy Wagner, 2001 NHC Champion; DRF young guns Matt Bernier and Dan Illman; Ray Paulick, Publisher of the Paulick Report website; Mike Penna, Jude Feld and Steve Byk of SiriusXM Radio; and stars of the reality television series Horseplayers, Peter Rotondo, Peter Rotondo Sr. and Lee Davis. Each track with races included in the NHC will be represented by one of their on-air analysts or handicappers. Mayne and Fallica are also part of the field for NHC 16, which will carry a purse well over $2 million and a first-place prize of at least $800,000 (the full purse and prize breakdown will be announced Thursday following registration for the “Last Chance” tournament at Treasure Island). “The NHC Charity Challenge is another exciting new addition to the NHC designed to raise awareness and funds for Thoroughbred aftercare and broaden exposure for the Championship,” said NTRA Senior Vice President Keith Chamblin. Players will select one horse to Win and Place in each of eight mandatory races (the same lineup used for the NHC) from tracks across the country. Using a “Pick and Pray” format, all selections will be due Saturday morning and any scratches will result in the player being assigned the post-time favorite. The player with the highest hypothetical bankroll after the final contest race will be declared the winner. In the event of a tie, there will be no playoff; the donations will be split among the winners. The full Celebrity Challenge field will be announced Friday. Updates on scoring will be disseminated via Twitter (@NTRA) and available on NTRA.com. 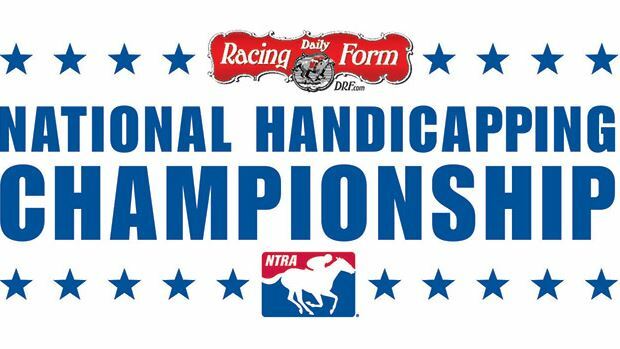 In its 16th year, the Daily Racing Form/NTRA National Handicapping Championship is the most important tournament of the year for horseplayers and is the culmination of a year-long series of NTRA-sanctioned local tournaments conducted by racetracks, casino race books, off-track betting facilities and horse racing and handicapping websites, each of which sends its top qualifiers to the national finals. Each year, the NHC winner joins other human and equine champions as an honoree at the Eclipse Awards. In addition to the founding title sponsor, the NHC is presented by Treasure Island Las Vegas and Sovereign Stable.